Majestic Mount Shasta gazes down on the Sacramento River. The lack of snow that has fallen has been the subject of much discussion this past winter. The first part of the winter was extremely dry and it has certainly caused much consternation up and down the state. Fortunately, February and the first part of March have seen a fair amount of rain. This translated to a fair amount of snowfall in the high country. The sustained precipitation also swelled the creeks and rivers so that they appear like they would during the spring thaw. This condition won’t last for as long as high water fed by the melting of snow but it is still nice to see the rivers running higher and the waterfalls thundering furiously. This is a great time to get out and enjoy the trails that follow the creeks and rivers as well as those blessed with waterfalls. Fortunately, most of these trails are at lower elevations so they are easily accessible this time of year. Even with the minimal snow we have received this year, there is still enough of the white stuff in the high country to make sticking to the lower trails worthwhile. 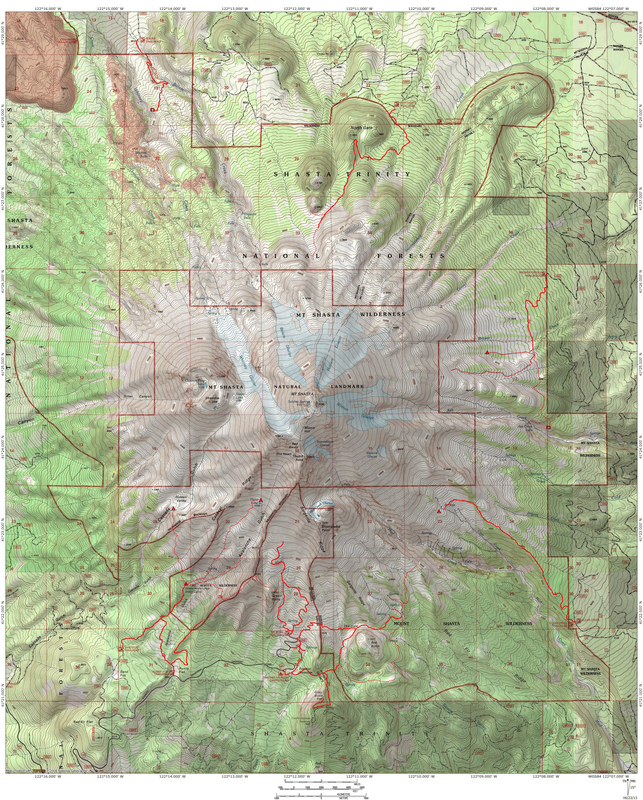 Highlights of the trails that would have good displays of high water include the McCloud River Falls Trail, the Sacramento River Trail, the Hedge Creek Falls Trail, the Root Creek Trail and the PCT to Burstarse Falls. The surging rivers are not the only highlight right now. As noted, the high country does have a fair amount of snow on it. This is the first time there has been an opportunity to offer some comparisons from previous years where the current state of the mountain has some snow on it. 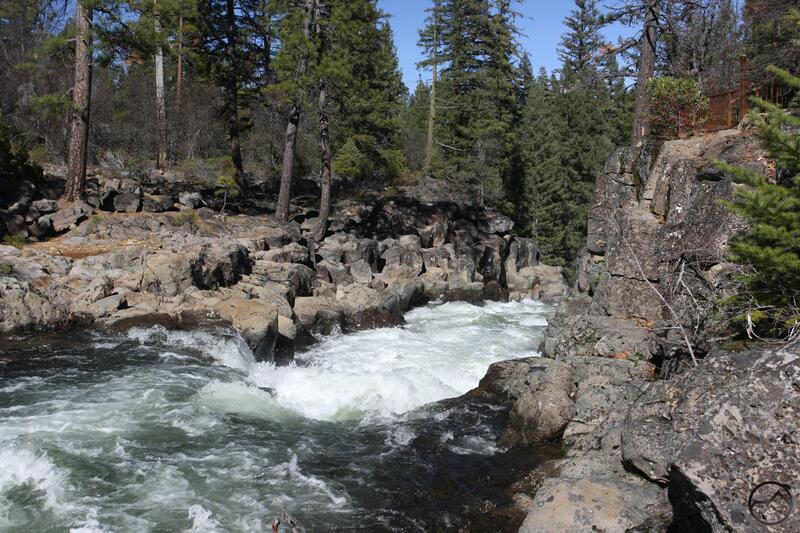 Swollen McCloud River just above Upper Falls. It has been an unusual winter and unfortunately dry. That is going to have a terrible impact on many people throughout the state and around the country. Farmers won’t be able to irrigate and cities will have to institute water rationing. Swimming pools may even have to go dry. There is nothing to be done about this and all we are left with is to pray for more rain and snow and enjoy the high water while we have it. 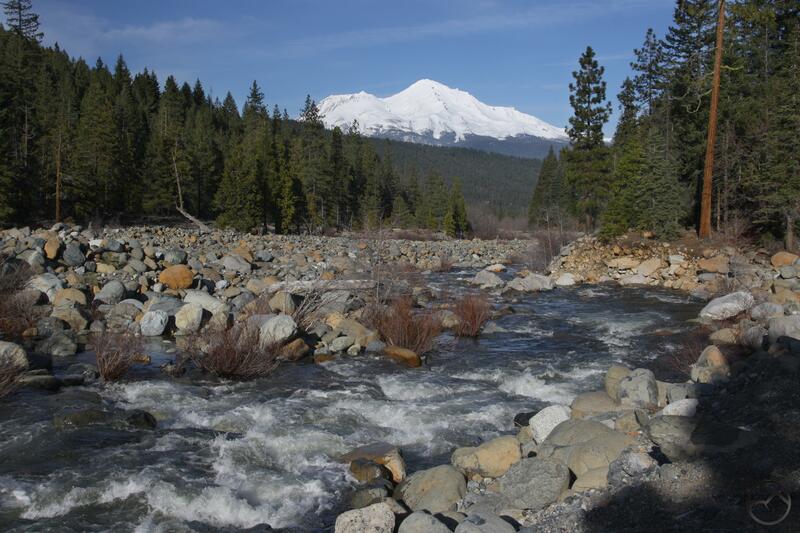 I hope that everyone can get out and hit the trails around Mount Shasta and enjoy the roaring rivers while they last.